Pick one of our stock golf designs to keep your mouth fresh on or off the green. Create photo-quality, full color imprints for 1 setup charge and no running charges on our white tin (excludes full bleeds)! 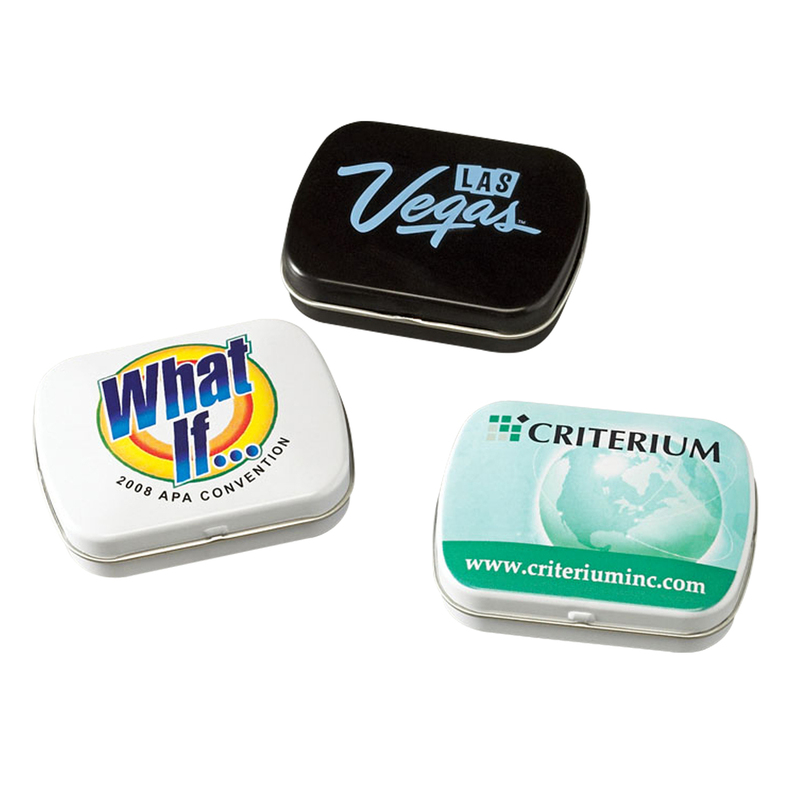 Not only will the recipient think of your company each time they reach for a MicroMint®, they are guaranteed to find a use for it once the mints have been enjoyed. It's a little keepsake, sized right to hold on to all kinds of things keeping your logo and message top of mind! Pick one of our stock golf designs to keep your mouth fresh on or off the green. 2 3/8" x 1 7/8" x 5/8"
Pricing includes a 1 color spot imprint or a full color digital imprint. Size: 2 3/8" x 1 7/8"" x 5/8"
Substitute MicroMints with our new stock mint shapes at a 10% price increase. Speak to our customer service team for more information on stock and custom shaped mints!